Like every friday it’s update time! This is Black Paradox’s 5th update! There are new game contents, some balance and bug fixing and….drum rolls…. 2 new tracks by Inward, Hanzo & Randie to add to our already amazing OST! Here’s a sneak peek! I hope everyone had some nice vacations and hopefully enjoyed Black Paradox! We’re back into action! This update is a little smaller but adds 6 powerups to the game! 6 powerups! They are upgrades for the player stats in 6 different combinations. The effect is self explaining so I won’t go into details and just drop them in the Patch Notes. Want to discuss the update with the devs or with other players? There’s a forum just for you! Are you a videogame journalist, a Steam Curator, a Youtuber or a Twitcher and you want to make a review/video of Black Paradox? We have a Distribute and a Keymailer account! So contact us there! Hope the new upgrades make your runs more various! I already have a new upgrade in mind for next week! Also remember the August Design Contest closes on the 27th! If you have ideas you’d like to post and haven’t posted yet do so now!!! Update day again! Are you ready? This week we’ve focused on adding a bit more content, balancing a bit and fixing a couple bugs. As I mentioned before next week there won’t be an update. So we have a new weapon, a new Powerup and a new Drone! I won’t spoil you the effects, just know they’re all uncommon, so you might not find them right away. This time around we’ve buffed some of the less useful weapons, buffed a chip’s effect and buffed a couple enemy waves that were underpowered and all around done some slight changes. I’ll go into more detail into the Patch Notes. Fixed some minor bugs. Again, read the Patch Notes for more info! Dodge chip’s effect has been doubled. Now max dodge caps at 40% with all max level dodge chips. I’m thinking of maybe buffing it further if it’s still not viable as a build. Drone “What the Drone?” added! Granade Launcher’s damage has been slightly increased. Railgun’s damage has been slightly increased. Hedgehog’s damage has been slightly decreased. Tesla’s bounce damage now decreases less per bounce (from 20% per bounce to 15%). When firing a weapon that slows you down you can’t rapid tap the button to avoid slowing down anymore. the slow down persists for a fraction of the recharge time. Blade drone’s damage has been increased and its collider is now slightly bigger, making it a more viable powerup. A few late game waves had long wait time between enemies. Made it a little shorter to avoid moments when there are no enemies. Solved a bug that made background’s elements not appear correctly when playing. Some bosses had some sound effects that would get stuck. Still haven’t found out what makes them get stuck, but forced the sound to shut down after a few seconds of getting stuck. Are you a videogame journalist, a Steam Curator, a Youtuber or a Twitcher and you want to make a review/video of Black Paradox? We have a Distribute and a Keymailer account! So contact us there! Hope this update adds a bit of juice to the game and unlocks new build options! Friday is gonna be your favorite day! It’s update day! 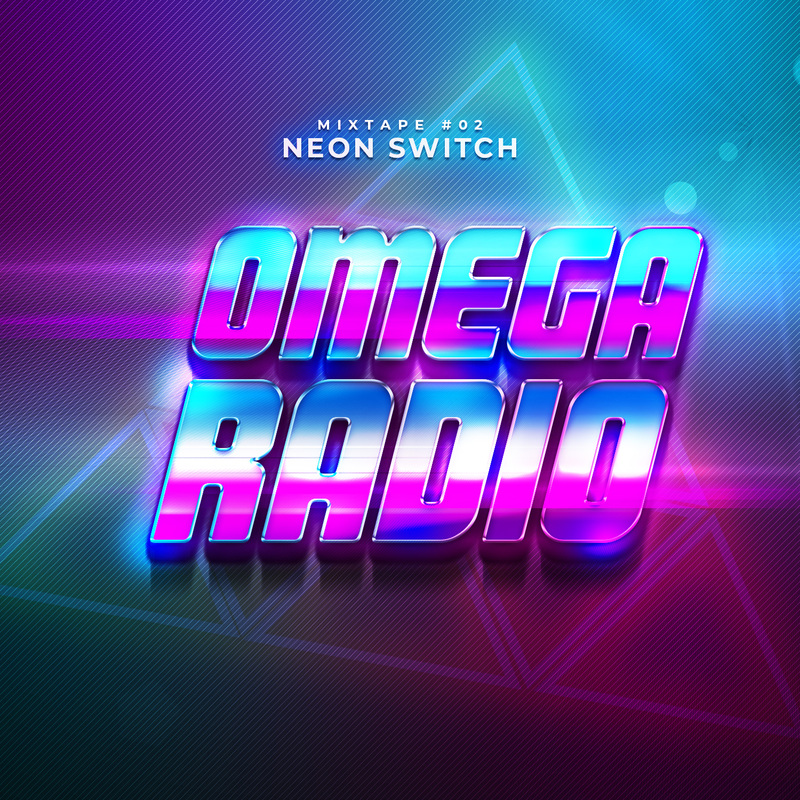 Another thing you’re gonna love about Friday is our Mixtape, featuring part of the update contents and letting you listen to good synthwave music. This time around our main focus was mostly on Backgrounds and balance, but we also have a new powerup joining the lineup! 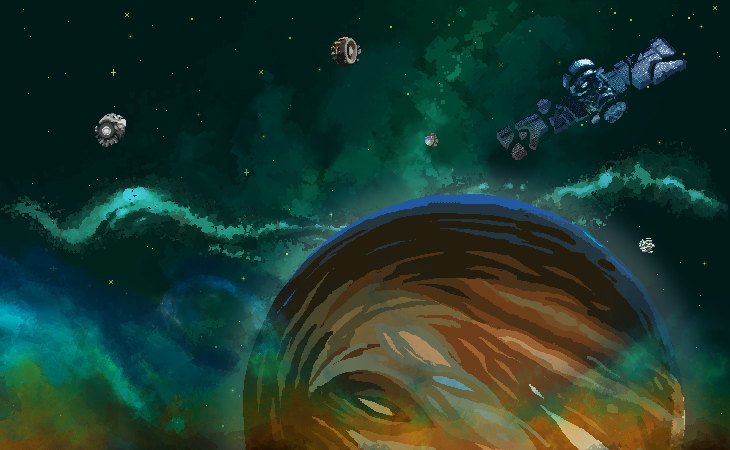 The game only had so many backgrounds… Well we added more! there’s a whole new set of cool bagrounds that can appear in the game! Hope you like them and are looking forward to more in the future, since we’re adding more in a few updates! The “Life Hack” is now available as a new powerup. I won’t spil the effect but let’s just say it’s pretty usefull… Hope to hear your opinions on it! Our focus on balance was on weapons and chips this time around. As far as weapons goes we buffed the darts punk and nerfed a few too powerful ones such as the laser and the hedgehog (I’ve personally seen players reach the last boss with just a couple chips and the hedgehog…). Some minor bugs were fixed too! this time around the only big bug was really big and we had an hotfix mid week to fix it. Chip’s shop randomizer is now more likely to select stronger chips. Triple shot chip change has been doubled. Now the max amount is 40% triple shot chance. Rear Shot chip chance has been increased by 50%. Now the max amount is 60% rear shot chance. Charge Shot now charges its effect faster. Darts Punk now slows the players slightly less and has les delay from when the bullet is fired and when it takes off. Tesla now deals more damage on the first hit, then decreases the damage on each bounce. Laser damage has been nerfed. Hedgehog has slightly longer cooldown. Enemies coming from the back of the player had their healt reduced. Some enemies that come from behind used to stop too far on the left area and couldn’t be shot at. Now they stop slightly further. Bosses now deal slightly more “contact damage” than regular enemies. Warlock uses his rings attack only when lower than 50% health. After shooting missiles Shadow waits less before its next attack. The machinegun deals a bit more damages. When starting a new level you no longer start with the base weapon – selected (still need to select the one you had, but for now it’s not the main one at least). Music doesn’t bug anymore when fast pressing retry on gameover screen. Main menu is now only controlled by player 1. When a controller gets removed game will pause even with 2 controllers attached. In Co-op mode when the first player dies there are less explosions as not to disturb the player left alive. In Co-op mode the player pausing the game is the one controlling the pause menu. If a controller gets disconnected the relative player will get keyboard controll assigned. Apparently Early Access discount only lasts for a week, as we promissed Black Paradox would be discounted for the whole duration of the Early Access we’re dropping the regular price to the same as the discounted one for all the EA duration. So you won’t see that beautiful -25% there, but it’s still 25% off the full price! Hope this update makes the game more fun to play! So a few hours ago Black Paradox was finally released on Steam!!! Also when posting the news on the community we had trouble with external link that wouldn’t work and had to work quite a bit (while swearing a lot of course) to finally fix it. But all’s well in the end! The official Radio for bounty hunters was born. Every update of the game will be accompained with a new episode of Black Paradox’s official podcast. Hosted by it’s official speaker, Night Shades, it will keep you updated on the Galaxy’s most wanted and of the news introduced in each update of the game. The line up will be a mix of the best electronic artists of the moment, and will be made up of a selection of the best music in the galaxy. The first episode has Inward, Hanzo and Randie as special guests. For those who don’t know them, they’re the guys behind Black Paradox’s amazing Original Soundtrack! They have selected us 30 minutes of pure musical nostalgia. Black Paradox now available on Steam! So today is the great day! Black Paradox is finally available on Steam! we’re really hyped and hope you are too! To celebrate we’ve put up a little podcast for you guys. The podcast will feature Omega Radio, the one and only radio for bounty hunters. As many people told us they really loved the game’s Original Soundtrack we decided to add it as a purchasable item on Black Paradox’s page. You can either purchase it separately from the game or get it together with the game in a bundle for a little discount! We added our studio’s logo to the finished version. Of course it had to be in a cool 80’s style right? We fixed some minor bugs too. But bugs are always around the corner and are a developer’s number one enemy (10 little bugs in the code….. fix one…. 12 little bugs in the code…). So we’d like to ask all of Black Paradox’s players to report any bug they might find. If possible please report them on the dedicated forum we created here on Steam, we also have a Discord channel! You can join us there too to let us know your feedbacks! Do you have a cool fan art on Black Paradox? either post it here on the community or tag us on Twitter or Instagram. We’ll select a couple of the coolest ones each week and add it in our weekly devlog! Hope everyone enjoys the game! The game’s not out yet, tomorrow is finally the great day when Black Paradox sees the light of release, yet there’s already an update? We received many feedbacks on the game’s demo, and before release we already worked on a few of them. Also from the release onward we plan to update the game weekly (with some exception like the middle week of August) until we’re out of the Early Access (we’re not gonna stop updating after it, but will do it at a slower pace). So get ready because the game’s gonna get bigger and cooler as time passes! The Railgun is a cool weapon. Maybe a bit too powerful…. Today one of our testers was able to reach and almost beat the 4th boss with no Chips using just the Railgun. We have slightly tweeked the balance and since we were at it improved the visual effect. 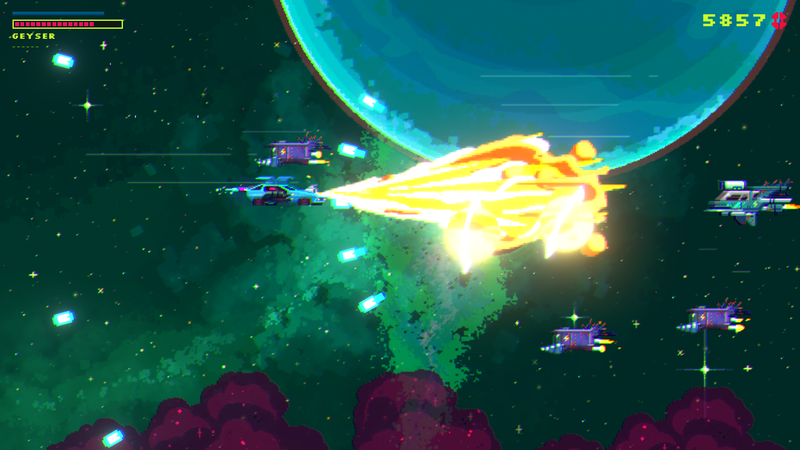 Now the Railgun’s bullet is animated and leaves a trail of particles on its path! A few players said that having the garage only in the home menu would break the flow in the game (going back to home and then to the game). We were already thinking about it and had postponed it, but with you asking we couldn’t not add the garage in the Game Over menu too right? So now powering up your car is easier and smoother. Hope you enjoy it! A lot of people loved the VHS effect we added just prior to building the first demo. Some others didn’t as much and preferred the old feel. Well this update is addressed to those guys! The menu option now allows you to turn off the VHS effect. We love it and play test with the effect turned on, but we do understand someone might not find it as appealing. Hope to hear many feedbacks and post again soon. Here’s a sneak peek at Black Paradox’s third boss, Warlock. Warlock is where the game starts to get difficult. He might not have so much health, but he hits HARD. He uses his chain, a shotgun and the gatling in front of his bike to attack. Can anyone guess the design’s inspiration? Has everyone tried Black Paradox’s demo? You can find it here on Gamejolt!. The demo features the third level and the third boss in Black Paradox. As normally you’d get there with some kind of powerup the demo is definitelly more difficult than the final game, but that’s what we wanted, after all finishing it after just 1-2 tries isn’t fun right? Let’s see how many of you can finish it! Try and try, buy chips and finally defeat Warlock!!! Just a couple days ago we made our first build for Console!!! The game runs smoothly and it’s really cool to play on such a big screen!